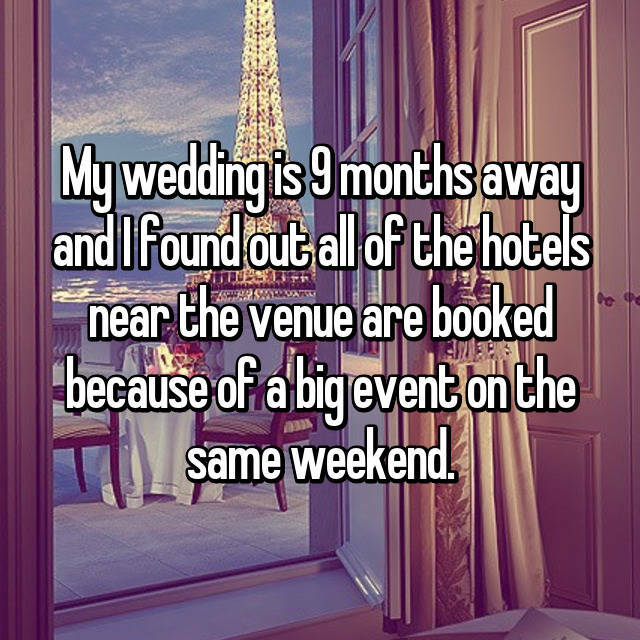 Both shocking and sweet, find out real brides' wedding venue confessions. This content is repackaged from Whisper, an app that allows people to anonymously post their thoughts and confessions. Download the free Whisper app for iOS and Android here. Watch out for added fees! Last-minute cancelations can cause quite the drama. Find out what to do when your venue cancels here.